IT/Database Consulting at is best!! Tosin has well over 10 years’ experience working with various tools in the world of information technology. He is an Altruistic minded individual who believes that nothing is impossible if you put your mind to making it work. Primarily, he is an Oracle Database Administrator with extensive experience in designing, coding, testing and supporting next generation database solutions in the Oracle enterprise. With the advent and popularity of the big data methodology, Tosin becomes fanaticized with the technology. Hence developed deep interest in its development, relevance and survival in today’s world of information technology. Tosin is proficient in assortment of RDBMS technologies and utilities like Oracle, Microsoft SQL server, Performance Tuning and Troubleshooting, Data security, backup and recovery, installation of several databases, Oracle Dataguard installation, installation and administration of Oracle Real Application Cluster. He is also upcoming in the proficiency of Big Data technologies like the GreenPlum, Hadoop and the likes. Tosin also works on several platforms like UNIX, Linux, Solaris, AIX and Windows. 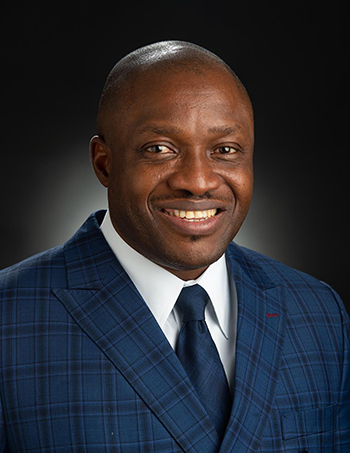 In the course of his career, Tosin have the privilege of working on several projects, both in the public and private sectors in the United States and beyond. Tosin holds bachelor’s degree in Accounting, Master of Information Technology, with specialty in Database System. He is currently pursuing his second master’s degree in Business Administration (MBA) at University of Maryland University College (UMUC). 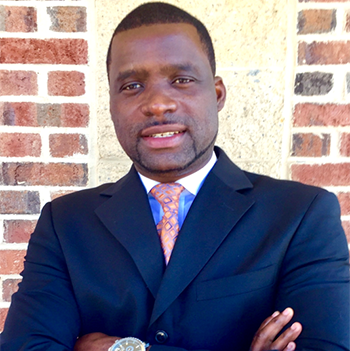 Joseph Okunade started his career working for various companies in the D.C. Metro area while studying Information Technology in college. Joseph Okunade received his B.S. in Computer Information Technology from the University of Maryland University College, an M.S. in Information Assurance and also completed graduate level certificate in Information Technology at UMUC. Joseph holds a Certified Ethical Hacker (CEH), CompTIA Security+, Network+, and Informational Technology Infrastructure Library (ITIL) certificates; and maintains a top secret clearance. Prior to joining Altruist Consult, Joseph supported many federal IT contracts as IT Security Engineer, Information System Security Officer (ISSO), and IT Security Analyst. Joseph brings with him over 10 years of federal government and civilian experience in Engineering, Information Technology, Cyber security, and Project Management. Joseph held senior level positions in federal IT contracts, Information Assurance, and Cyber security in support of the U.S. federal government agencies. 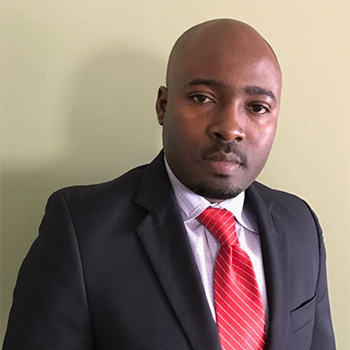 Olayiwola has over 10 years’ experience as an Oracle (8i through 12c) database administrator and solution architect in a high availability production environment on cloud and on-premise. He has experience migrating and managing on-premise enterprise architecture to the cloud. He has extensive experience installing, configuring, creating, supporting, and managing Oracle and MYSQL Database systems, and experience writing SQL, batch and Shell scripts. He has provided performance monitoring/proactive and reactive tuning/troubleshooting of Oracle/MYSQL systems running on UNIX, Linux, and Windows servers. He is an expert in systems analysis and architecture, capacity planning, backup/recovery, installation, and configuration management. He has experience in Data Guard, Real Application Cluster (RAC) on ASM and RMAN Backup and Recovery, and has performed security management for database, network, and operating systems. Olayiwola has over 5 years’ experience as a Netezza database administrator in a data warehouse production environment. As a Netezza DBA, he was responsible for data management, security management, batch job management, backup/purge management, retailer rollouts, and basic development tasks for Data Warehouse. Olayiwola has over 3 years’ experience as an infosphere Guardium administrator for data activity monitoring. In his position he was responsible installing and upgrading, configuring and managing of Guardium DAM in a federated environment. He has over 2 years’ experience as a Cloudera Hadoop administrator managing, upgrading and patching the cloudera environment. Copyright © 2019 Altruist Consult LLC.